Love nature? Don't miss these Spring flower tours in Switzerland!Love nature? Don't miss these Spring flower tours in Switzerland! Love nature? Don’t miss these flower tours in Switzerland! Eight years. That is how long I searched for Edelweiss in Switzerland. And I found quite a bit of it. I found it embroidered on shirts. I found it decorating bread bags. And I found it for sale in the plant department at the local Migros grocery store. But never once did I see Edelweiss where I wanted to see it: In the wild. Later, I discovered there was a reason for this. Edelweiss has been picked so often over the last 200 years that it has reached the point of extinction. There are still some sightings in the Swiss National Park, but if you never find a single flower in its natural habitat, that is completely normal. Whew. To make up for the lack of Edelweiss, there are many other flowers to be found in Switzerland. 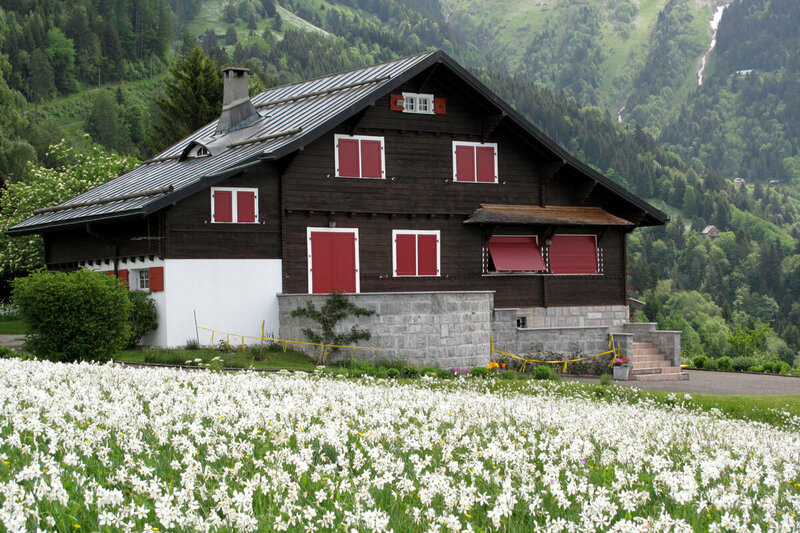 Springtime brings so many varieties, you can create your own Swiss spring flower tour. 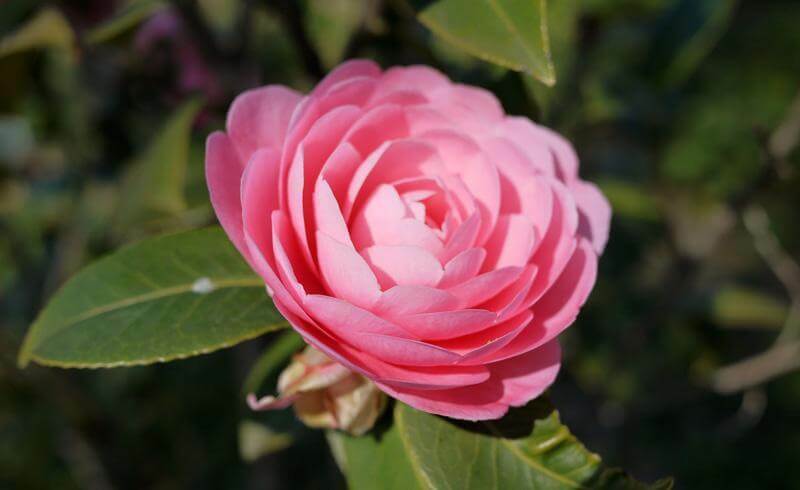 For the largest display of camellias outside their home country of Japan, be sure to visit Locarno in March and April, when almost all of its 850 varieties of camellia plants are in bloom at the Parco delle Camelie. It is easy to soak up the atmosphere (and the sunlight) since the park hugs Lake Maggiore. Locarno likes to brag that it is the sunniest place in Switzerland, averaging over 2'100 hours a year — that’s nearly six hours a day. This author, however, always ends up in Locarno in the rain. If you find yourself as unlucky as yours truly, Locarno's Visconteo Castle hosts a camellia exhibition in the early spring featuring over 300 varieties expertly arranged by professionals. 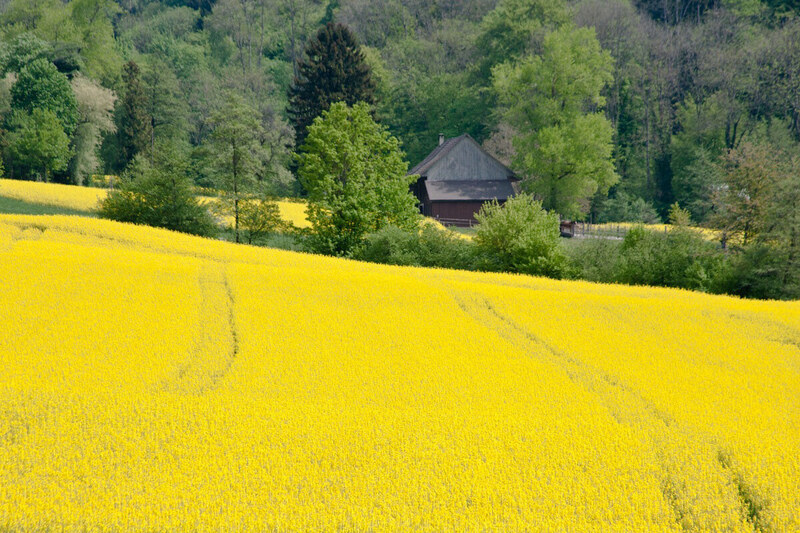 Every April and May, blankets of gold cover the Swiss countryside. Rapeseed fields are to Switzerland what lavender is to Provence—except without the crowds or the clichés. 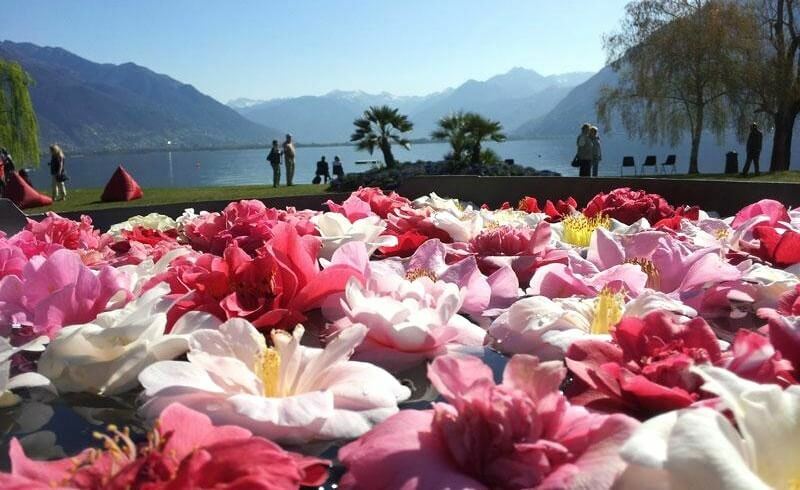 How about these blooming spring impressions from Ticino? In fact, rapeseed is the most significant home-produced oilseed — over 8'000 farmers grow it and you will find the yellow fields spread across 15'000 hectares throughout the country. Take a drive, ride a bike, or go for a walk through some of Switzerland’s flatter and more low-lying regions and you will be sure to discover a field. Wettingen, not far from Zürich, is a lovely area to explore. Take Bus 3 from the Baden or Wettingen train station to Brunnenwiese and walk about five minutes east until you come upon the fields and hiking trails. In the French speaking part of Switzerland, the fields around La Sarraz are usually blanketed by rapeseed plants as well. The medieval castle in La Sarraz offers wonderful views over the surrounding countryside. if you know where to look. French speaking tours of narcissus fields are available in Montreux, but it is easy enough to create your own tour. A good bet is to take a 20 minute train ride from Montreux to Caux and then hike up from there until you come upon a glorious field of white. The best time to spot narcissus blooms is usually from the end of May through the first week of June. For a final flower adventure, head to Les Jardins du Château de Vullierens in May or June. The castle is truly in the middle of nowhere, but that doesn’t stop the Swiss transportation system, which can deliver you straight to the iris festival. From Morges, you can take a 16 minute PostBus ride to Vullierens Village. (Tell the driver where you are going when you get on so you are sure to get off at the right place.) 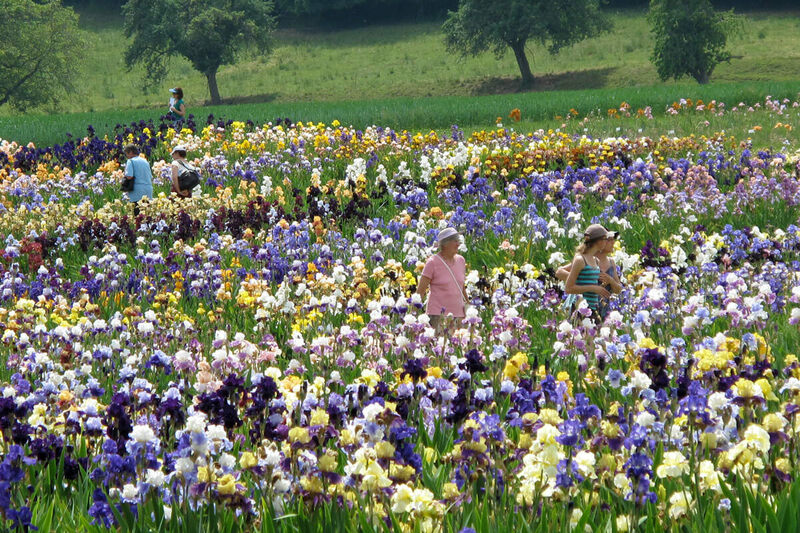 Once you arrive at the castle and pay your entry fee, you will be free to wander the iris fields, enjoy pastries from the castle café, or buy some iris bulbs for your own garden. Be sure to check the bus departure times while you can. Count on it to show up on time, the bus has more in common with a lazy French schedule than a demanding Swiss one — especially on the weekends. 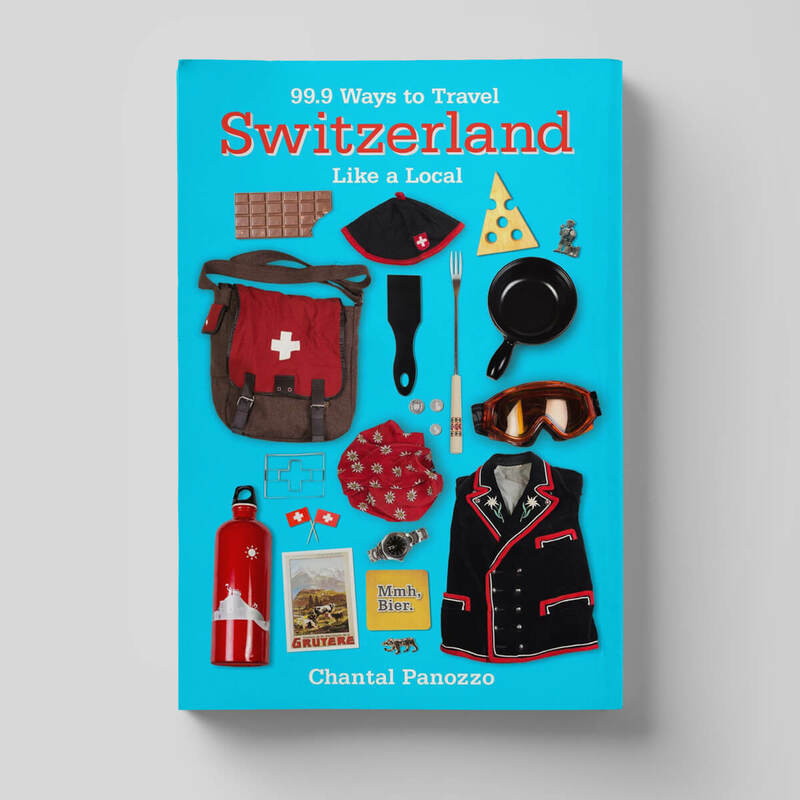 Chantal Panozzo has written about Switzerland for The New York Times, Wall Street Journal, Salon, Vox, CNN Travel, Fodor’s, Die Zeit, and many others. Her book, Swiss Life: 30 Things I Wish I’d Known, landed her on the cover of the highly esteemed Swiss tabloid Blick am Abend as the American who saved Switzerland’s honor. Copyright © 2019 - Newly Swissed GmbH. All rights reserved.